You needed a laundry solution. You were tired of trekking to a wash room or laundromat (washeteria for my friends in Louisiana). 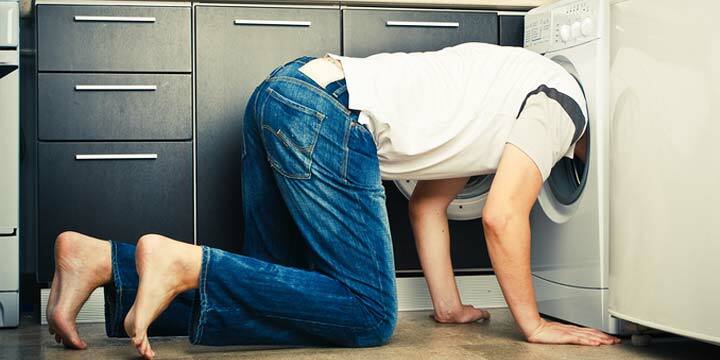 You did the research and figured a washer dryer combo is what will fit your particular needs. Now that you have this beautiful piece of equipment, what do you do with it? 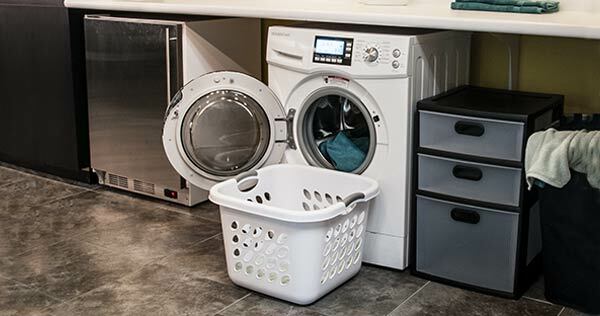 To help you learn more about how to use your washer dryer combo, we’ve put together a few simple guidelines to follow so that you can use your unit effectively, while keeping focus on getting your clothes clean. Most units have a 13 to 15 pound capacity, though LG makes a unit with a 22 pound capacity. 13 to 15 pounds is about 3 complete outfits (pants, shirt, socks and undergarments), or about 6 to 8 bath towels. 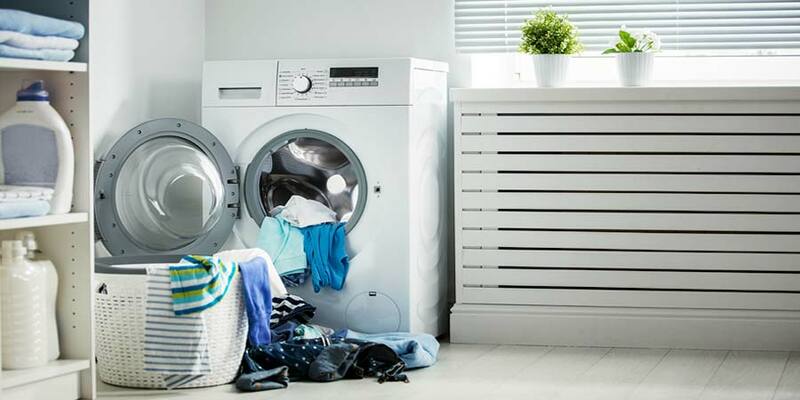 It is important not to overload the unit, as it will not get your clothes as clean as they can be and it will be harder for the unit to dry the clothes. Next comes the detergent. It is imperative that you use a low sudsing, high efficiency detergent, something with that cute little HE symbol on it. Powder works best, but if you prefer a liquid, go for it. With these units, about two heaping tablespoons is all you need. Most units will also have a space for fabric softener. This is highly recommended because it helps to cut down on wrinkles, and generally makes your load soft afterwards. There will also be a place to add bleach. As with the detergent, powder bleach will work best, but you can use liquid just fine. Be sure not to use too much though! If you have the unit hooked to separate hot and cold water outlets, then you just choose whichever setting will work for your load. Now, if you have the unit hooked to just one outlet with a faucet adapter and Y connector, you should use just cold water. 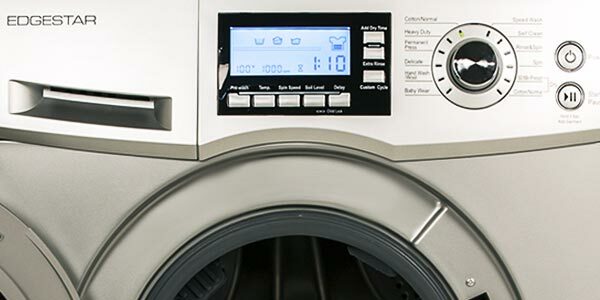 If you want to wash something in hot, set the machine for hot water and the unit will heat the water for you. Also, cold water helps the unit dry the clothes better than hot water (weird, I know, but trust me on this one). Now, just load the clothes, put in the detergent, choose your cycle, and you are off and running. Keep in mind, once the cycle starts, the door will lock and you will be unable to open until the entire cycle is finished. You can set these units to wash only, dry only or both. 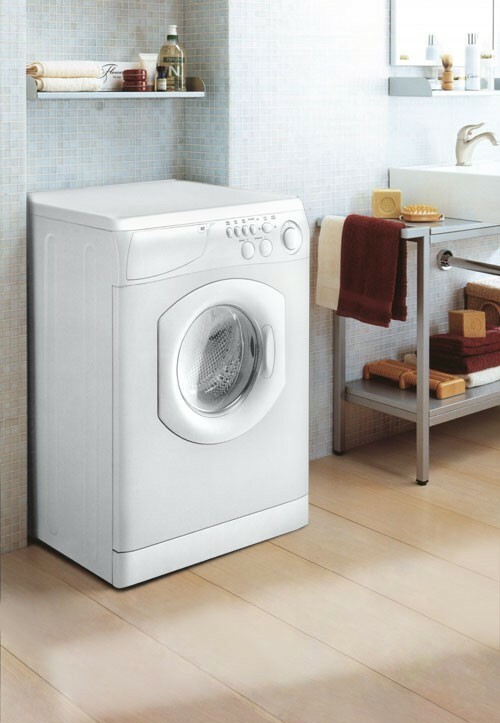 Generally, a full wash and dry cycle takes about 3 hours. At what point do you turn the cold water on/off during the cycle? 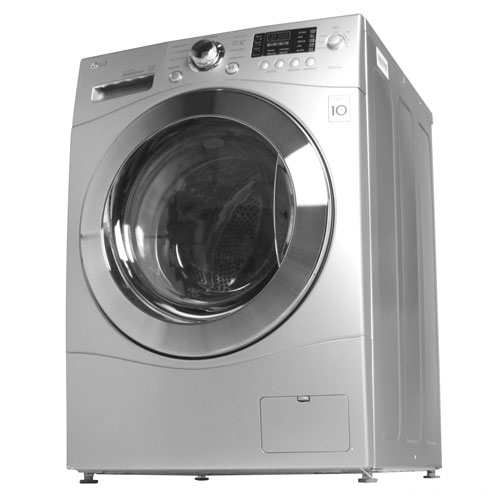 Is the cold water running during the entire wash and dry cycles for the high efficiency unit? We just acquired a place and it has your HAIER M# 1700AXW. We can wash and the unit stops and set the dryer and when through it stops. Me too regarding the drying! I have run the close dryer part 2 or 3 times after it has already done a complete wash and dry sequence and the clothes are still wet!!! its infuriating!! I have washer/dryer hook ups and vent, but am interested in an all-in-one unit to save on space. Is it possible to hook a vent-less all in one unit to a vent? Would that speed up the drying time? How would it effect the energy efficiency? My parents just had installed, last night, the LG 4.3 and were having difficulty setting the dryer. Is the dryer set at the same time as the washer & the cycle continues? She ended up washing clothes twice without drying :). Thay do feel wet but when you take them out shake them and if you can, hang them for a little while. They cool down quickly and dry. The towels take a bit longer. I have one of those pop up clothes hanger trees. I love this washer. Just a question, i have it on wheels with y connector to sink when in use. Sometimes it shakes a lot during rinse and spin cycle. When on full spin cycle its fine. I have a thin carpet under it for stability. The unit is totally level. I put in less weight and more weight. Could it be the wheels? Does anyone with the same connector have this situation ? Some wash cycles do not allow drying. My Kenmore, you can set the dry cycle (if the wash cycle allows drying) to 4 different settings. The last one is a timer that goes from 30 minutes to 5 hrs. Can I use pods detergent in this combo appliance?